On an early morning paddle, Agapé Jones' outrigger team finds a body in the water off Maui, thrusting him into unexpected danger. Agapé Jones, retired NYPD detective, is asked to act as special investigator in the murder of famous surfer Philip Fowler, the son of Hawaii State Senator Thomas Fowler. The assignment takes Agapé to the North Shore of Oahu where he discovers that he's investigating more than just a murder. The young man had no enemies, and Agapé is frustrated by little evidence and few possible suspects. Agapé enjoys exercising his old skills, but he misses his wife, Gerry. 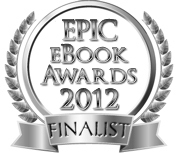 He encounters several people who become more than acquaintances, and in the end, discovers the truth. 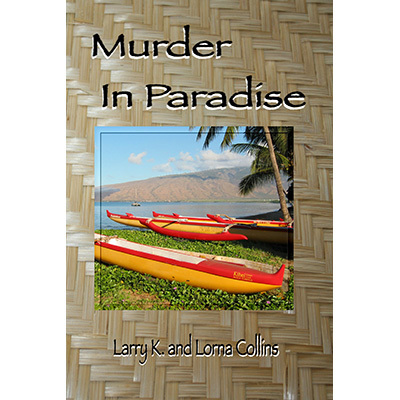 Murder in Paradise allows readers to discover the answers along with the detective while experiencing a virtual trip to the real Paradise that is Hawaii. Read about Lovie Cooper, the real "Lovey." Synopsis: In Book 1 Murder They wrote we meet up with Agape Jones, a NYPD detective who retired from the job after a shooting injury ended his long time career. From there him and his wife moved to Hawaii, where she took a job teaching English at the college and Agape would spend time loafing, fishing or whatever retired people like to do. Only that didn't work, it wasn't long till he was involved in solving a murder case and now as we open book 2 we find him right in the midst of another murder. When a body turns up floating in the ocean still tied to his surfboard, questions start flying. Who is he? How did he get to where they found him at? He couldn't have been in the water that long? Turns up he is Philip Fowler professional surfer, the missing son of a well known State Senator Thomas Fowler. When the senator hired Agape to find his son's killer he has to leave his home for a while, but how can he explain to his wife who wants him to quit without really lying to her. Reluctantly she agrees to him going away for a bit. As Agape soon discovers there may be more to this murder than expected. With several different suspects, Agape is beginning to wonder who he can trust to talk to. With the loner car and his hotel room being bugged, he leaves them in place but makes sure he watches what he says or who he talks to as he tries to solve this latest mystery. With other things going on at the time are they all somehow connected together? Did Philip see something that led to his murder? Is his older brother jealous or him or his girlfriend mad at him? Can you figure it out? As with the first book this is a very well written cozy mystery that keeps one involved in the book right to the very end. If I thought I had it figured out I was wrong. I really enjoy this Agape Mystery Series and not sure how many there will be but I know I will keep up with them. I have been fortunate to have read every book that the authors have written together and the ones that Lorna has written with other authors. If you have never read any of their books then you are in for a real treat. They are cleanly written with a Christian attitude to them but not preachy. Recommended for all ages. I would like to thank the authors for once again giving me the opportunity to read their newest book. I just finished reading Murder in Paradise, an Agape Jones mystery by Lorna and Larry Collins. The story is set in Hawaii. Agape Jones, a retired NYPD detective is enjoying retirement with his wife, Gerry, when he is asked to take a special assignment to assist in discovering the circumstances surrounding the death of a state senator's son, Philip Fowler. Although Jones is reluctant to leave his wife and new laidback lifestyle for a few days, he is also excited about the prospect of hunting down a killer. As the story unfolds, the Collins describe the environment, the food, and the rich cultural traditions of Hawaii. This is the only state I haven't visited, but after reading Murder in Paradise, I feel as if I'd spent time in this exotic location. If you're looking for a mystery with a stunning setting, likable protagonist, and engaging plot, look no further. I already like the way the Collinses write cuz I read their memoir: 31 Months in Japan: The Building of a Theme Park & their first cozy Hawaiian mystery: Murder... They Wrote. In this story of sunshine, sea, delicious food & Agape Jones, medically retired NYPD detective, is added traditional canoeing & surfing when our very married hero paddles off with his crew & comes upon the floating corpse of the youngest son of a local politician. This husband & wife team get better with each book &, as B4, their bouquets also contain morsels of drama, a touch of suspense, a good dose of vengeance & a little bit of marital humor.